There’s something a bit strange about both sides of this, Martha Reeves and the Vandellas’ first single in months, and after much listening I think it’s to do with Martha’s singing. The Vandellas had stormed back to the top of their game with Nowhere To Run back at the start of 1965, but (as discussed when talking about the A-side You’ve Been In Love Too Long) there was no Holland-Dozier-Holland follow-up single. This B-side, a melodramatic ballad, is as close as we’ll ever get to that non-existent sequel here on Motown Junkies; despite its fundamentally alien sound, a breathless, meandering torch song strapped to the bones of a 6/8 doo-wop skeleton, Love (Makes Me Do Foolish Things) still picked up enough radio play to chart in its own right anyway. Not enough to chart particularly high, or anything: number 70 with a bullet on the pop charts, though interestingly black radio actually pushed this a couple of places higher than You’ve Been In Love Too Long on the R&B listings. If I were to venture a guessplanation for that, I’d say that the rip-snorting stomp of You’ve Been In Love Too Long was one of several records, even several Motown records, with that sound at that time all jockeying for position on a DJ’s radar, whereas there’s almost nothing in the world that sounds like this. And it makes sense that it would chart, too – lots of people hate it, I know that from experience, but lots of people love it. I love it. So does Martha Reeves herself, if you want a more respected judge: she’s on record saying this is one of her favourites among all her many recordings. As with the A-side, Martha makes this what it is. With respect to the other Vandellas, and whoever else was supposedly being employed on the track to augment their harmonies, this is Miss Reeves’ show – and just like on You’ve Been In Love Too Long, here we find her doing something remarkable, something new. At times it seems as though she’s lost sight of the tune, at times it seems she’s struggling to get her note, but again, never does it seem unintentional; rather, it’s somehow more raw, more honest, more direct, straight from Martha’s heart to ours. Hardly the stuff of weekday drivetime, but if you heard this on the radio, love it or loathe it, it’d stick with you the rest of the day. The Holland-Dozier-Holland trio, who weren’t known for tired retreads of outdated trends and didn’t turn in very many conventional doo-wops, here take a Smokeyesque delight in subverting the form and taking it somewhere altogether stranger and darker. I understand how it could come across as a wonky doo-wop ballad gone awry, but it’s always struck me as so much more interesting than that. 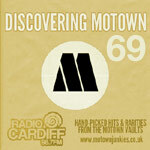 The lyrics call for the narrator to open her heart in a frank and self-abasing fashion, and with that in mind, Martha’s recollections of the recording of this song, as reported in The Complete Motown Singles: Volume 5, are illuminating. According to Martha, the text struck such a chord with her that she poured her whole soul into its delivery, to the point of insisting any non-single men vacate the studio while she sang (“go and get something from the candy machine”) – not in case they distracted her, but in case she ended up accidentally seducing them. Is her performance as captured on record enough to make you believe her Helen of Troy act? On the one hand, you could say that yes, actually, it’s not far off – one moment she’s belting out notes with the most power we’ve ever heard from her, the next she’s calling out in pain (FUNNY, how precious memories linger on…), the next softly purring in our ear – and so she wasn’t just being vain. But to take things a step further, you could also say it’s not really important, not compared with the bizarre spectacle of a top-drawer Motown singer being convinced that, in the combination of these words, this tune, her voice, and her own latent sexuality, she was dealing with something so mysterious and powerful it needed to be handled with extreme care, to be used sparingly and never for evil; it not only tells you what was going through Martha’s mind when she sang this, it tells you what sort of artist we’re dealing with here. Can you imagine that story coming from Diana Ross? I come away from this feeling as though I’ve just had an experience I can’t really describe. It doesn’t fit in easily with the rest of either Motown’s catalogue, or that of the Vandellas, not even to the extent it can be called a throwback or a regression (because it certainly isn’t that.) It’s whistleable, it’s weird, and it’s done with wholehearted commitment; it ticks all my boxes. Now, I don’t think either side of this single is a masterpiece – they’re both too rough-edged and frequently bewildering to be counted among Martha and the Vandellas’ very best work. What I do believe is that, with these two sides, the group were reaching in the dark for something they couldn’t quite grasp, something entirely new, defying total understanding (theirs and ours). They’re both excellent records, completely different and yet somehow both excellent in an oddly similar way. This one, strangely-punctuated title and all, is probably my favourite of the two, not least because – just like Martha – I feel its power is still only shakily understood, and not to be taken lightly. In every sense of the word, this was the flipside of “You’ve Been In Love Too Long.” Whether or not the narrator ever heard the advice on the topside, regardless of which party did the better quality of loving, or whose fault the breakup was, the storyteller here is engulfed in loss and grief. At 11, when this was new, of course I had no way to relate to it one on one, but life to come, unfortunately, would rectify that. “In Love Too Long,” while angry, was self-possessed and self-confident, and focused enough on the future to forcefully make a case that better-quality decisions now won’t recklessly gamble that future. “Foolish Things,” on the other hand, sees nothing ahead but barren loneliness. We can’t say that there isn’t a Motown song that doesn’t address every exhilarating climb and frightening drop of the roller coaster love is. This was one of the better brokenhearted ones, done with talent throughout, and I give it at least an 8. I’ll be amazed if it doesn’t land in the ‘green’ here. In 1965, 45s were still only a dollar or less each, and Gordy 7045 was another of the Motown ones that gave profuse bang for the buck. Three years later there’d be a rather pointless remake of this used to bulk out The Supremes Reflections album, which to my ears, did little more than prove the record belongs to Reeves, Ashford & Kelly. This was the hit in Los Angeles. It got to #4 on KHJ radio in Feb of 1966. The other side got played for a few weeks in July and Aug of 1965. I like both sides of this record a lot. One of my favorites; I would have given it a 9. This really gave me a better idea of what Martha could do vocally (not that she’d been holding back before); there’s a depth and breadth to her performance I hadn’t previously heard from her. It’s great to know that she also was aware of this. There’s another single of hers coming up I would place in the same league. I would think, “My Baby Loves Me” could be in the same league..with the Four Tops in the back up.. “Yeah Yeah Yeah…Yeah Yeah”!!! Sorry sports fans. I DON’T LIKE THIS RECORD! No offense to any fans. Here’s my problem… I feel like Martha’s voice takes on an strange sound when she hits the word “funny”. I dunno. She almost sounds a bit strident. I love Martha’s voice but she had to be careful sometimes to not let it go out of control & to my innocent ears that is what it sounds like here. I agree that Diana Ross & company didn’t get much of the song either. I’d be curious as to what people think of Kim Weston’s version (which I think uses the same backup as Martha’s). I like Kim’s vocals on the song. I feel like she is more careful with her vocals & gives the song the subtle nuances it needs. Jazz/soul singer Jean Carne did a pretty cool version as well. In conclusion, I think this really wasn’t one of H-D-H’s best efforts. I feel like the lyrics & general feeling of the song are a bit overwrought. And, despite all my moaning/groaning I don’t HATE this record. When it comes up on random playlists I don’t skip it or anything. FYI – Can’t wait til we get to “My Baby Loves Me” Now that’s one heckuva record! Again, to any fans of this record – no offense meant. More power to ya! I actually kind of understand it’s appeal to people. An indispensable song. With what intensity she sculpts each word, with new nuances of pain and longing coming constantly to the surface as the song unfolds! ‘Far beyond control’ indeed- what other Motown singer takes so many risks? And yet the staggering variety of inflection serves only to reinforce the single-minded intensity of this storm. Yes, exactly: Kim is more ‘careful’ in her fine version of this song – Martha’s strength is precisely that she’s not careful at all. This one is a 10 for me – perhaps not a rationally defensible verdict – but I love this wild and painful ride. love makes me do foolish things like positively love this rather retro sounding song. waiting for martha to hook up with h/d/h again … i am so “ready”! Easily one of my favorites. I always get caught up in the emotion of the lyrics. And who of us havent felt this way from time to time? If you listen to the “Live” lp it sounds like Martha breaks down towards the end of this song. We never heard the A side on radio in San Fancisco in ’65. Everybody loved this one and played it to death…this is the one radio went with in that market. We had to wait till mid-’66 for Greatest Hits to have it on an Lp. They played both sides on WVON in Chicago, and, I think WLS, and played both sides on KGFJ in L.A. But `Love Makes Me Do Foolish Things`was the bigger hit. I thought I remembered hearing `You´ve been in Love Too Long`for a few weeks on KDIA, but that was a lot of years ago. I disagree with the comment from Dave L . I think Ross’s version of “foolish ” is superior. She’d really hit her stride by then .as a stylist. Also, the song sounds more modern and dramatic, the back-up is great. Martha is always worth listening to but the song is so tinny. I’m really digging this blog. I’m shocked at how knowledgeable everyone is on each single and the history of Motown. I really enjoyed this song. Martha’s voice is so rich and hits you right in the stomach. When Martha sings the word “Funny”, the song really begins to hit me. Her phrasing of this is very reminiscent to the way Billie Holiday sings the line, “And when you got money,” in “God Bless the Child. She is heartbroken, feeling foolish and used, and it leaves you feeling uneasy, almost sickly, like someone just punched you in the stomach. Throughout the song though, I couldn’t help but think Marvin Gaye could have nailed this.